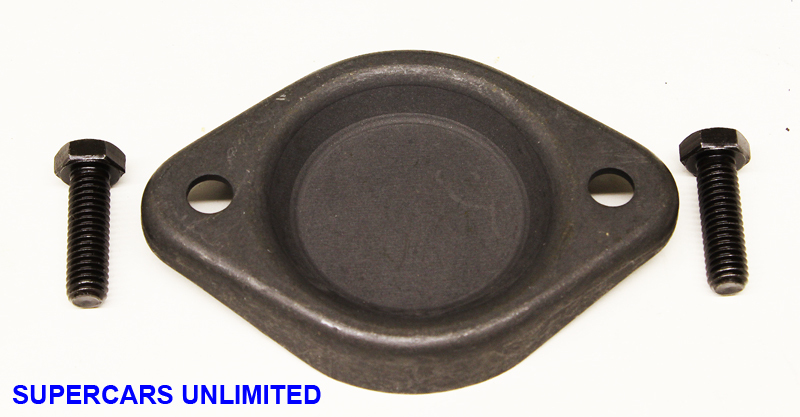 As used on the right hand exhaust manifold on all small blocks with factory dual exhaust (there is no true "dual exhaust" small block exhaust manifold - even W-31's used this cap). Fits all 64-77 330-350 applications. Kit includes two attaching bolts.